This is the second article in our series in recognition of Patient Safety Awareness Week. Patient safety requires a constant vigilance and mindfulness, which is supported by programs such as our High Reliability Organization initiative. As part of the HRO program — through the establishment of a Reporting Culture and a Just Culture — we empower providers to identify and share patient care issues so that teams can take immediate action. Incident reporting can increase patient safety, and a proactive mindset can help contain and prevent errors. 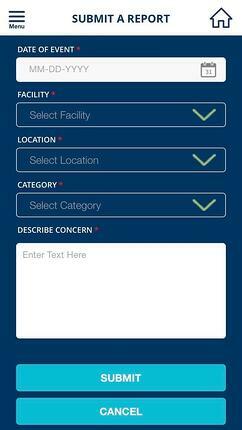 One of the most valuable tools to facilitate this effort is our mobile Clinical Safety App. A high reliability organization relies on empowerment and communication, and our app helps make that possible. The process for reporting concerns has evolved over time. Initially, providers depended on a paper reporting system or a desktop computer, but both had limitations – primarily, the time that passed between when an incident occurred, when the concern was submitted and when corrective action could be made. Jeff Shapiro, MD, Director of the MEDNAX anesthesia HRO program, helped drive the launch of a web-based app, followed by two releases of a mobile platform. 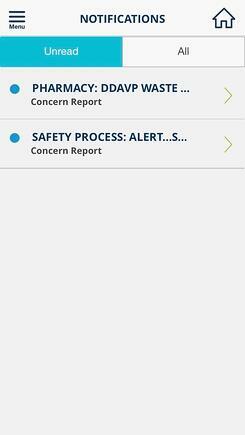 The app allows for various types of push notifications, which include redacted concern reports to help educate a team after an incident, basic “FYI” bulletins, critical safety alerts — such as a medication, equipment or supply issues — or general safety notifications. These communications can be sent to a single practice or system-wide, which currently includes 26 anesthesia practices across MEDNAX who have access to the app. Empowering the individual: Every team member has access to the app, which breaks down the hierarchy of power on a care team. All team members are expected to speak up and report patient care issues. 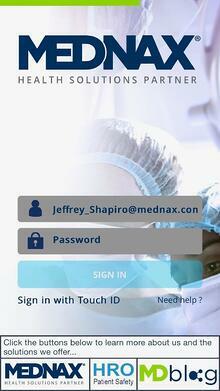 Non-MEDNAX employees at participating facilities can also use the app, which further enhances patient safety. Creating a Reporting Culture: The app enables real-time reporting. Once a report is submitted, an app administrator at the facility is notified and can act. “We focus on rapid response,” said Dr. Shapiro, who is a system super user. “If we know there is a problem, we can share it and hopefully fix it immediately.” Additionally, the app gives us the ability to collect and review the data so we examine the broader picture. The app also allows the administrator to reach out to the reporting clinician to acknowledge a ‘great save’ and provide feedback. “A simple thanks tells users they are being heard and appreciated,” said Shapiro. Join us in our commitment to patient safety.